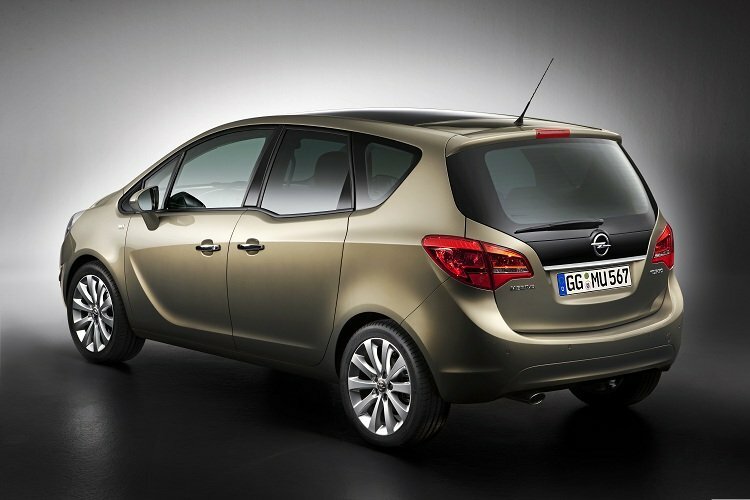 Today the 2011 Opel Astra Sports Tourer was caught testing at the Nurburgring circuit. The front of the car is unchanged from the current model so was left naked. The cars detailing seems to have a finished state to them so we expec an announcement on a release date soon. Rüsselsheim. 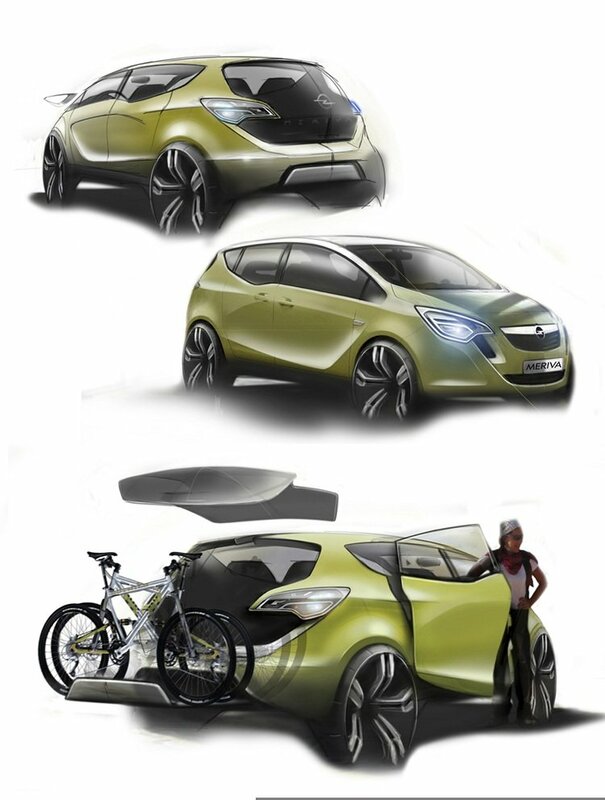 Opel extends its champion role in the monocab class with the next generation Meriva, bringing innovations – like FlexDoors, FlexSpace, FlexRail and FlexFix – and versatility to a new level not yet seen in its class. 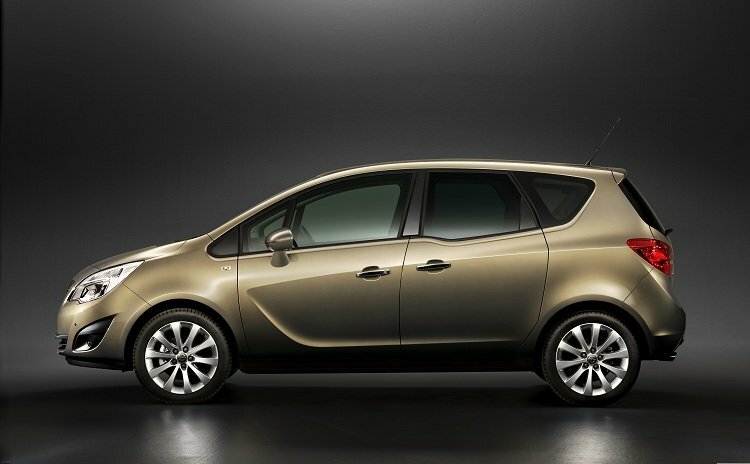 And it does so without compromising on the Meriva’s great new look. 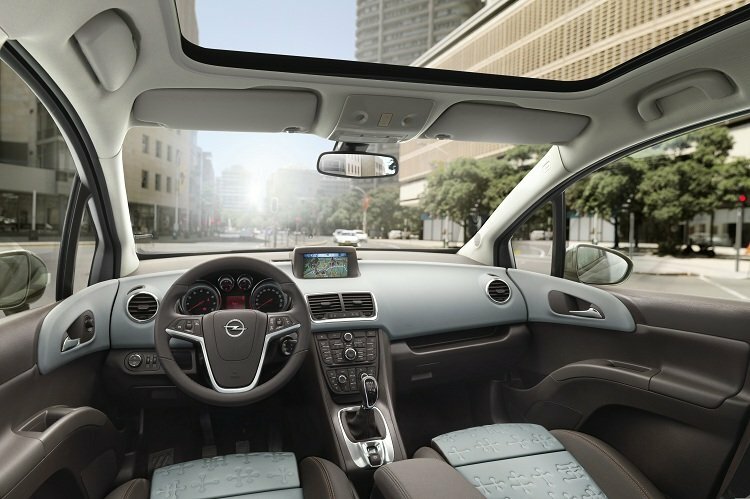 Carrying forward Opel’s new flowing design language with its uncompromising focus on quality, the new Meriva also includes the widest interior color and trim choice ever offered by Opel in a single model. 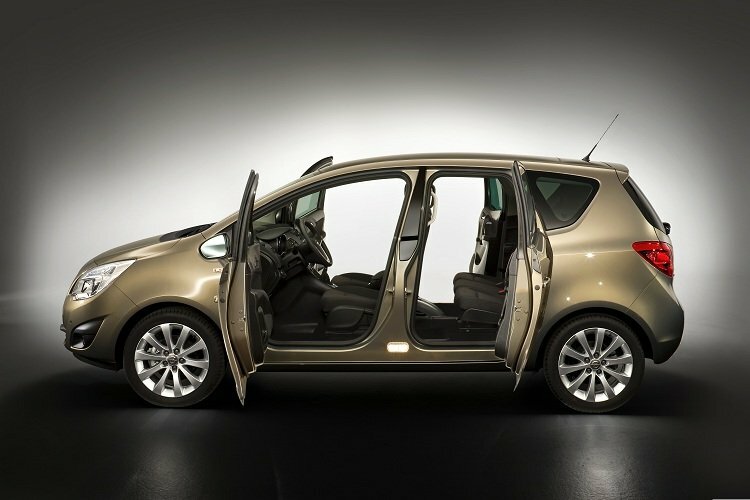 A new dimension in rear seat access is opened up by the Meriva’s rear-hinged FlexDoors, a first in the segment. 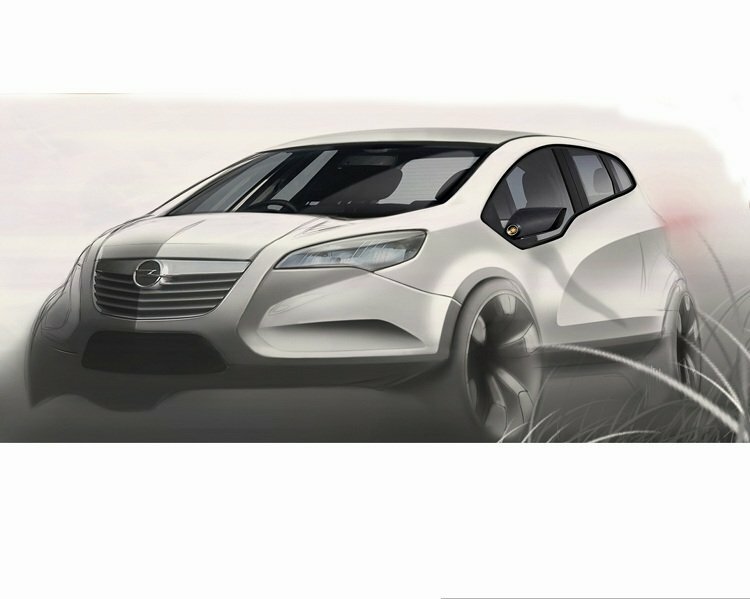 The design optimizes the size of the door aperture by using the space which is occupied by the rear wheel-arch with a front-hinged door. By placing the rear door hinges on the C-pillar, entry and exit space is wider. It is also higher because entry access is adjacent to the B-pillar where there is more space between the roof and floor. FlexDoors also improved ergonomics. Parents can stand in the space usually taken up by an open door, making it easy to help babies and toddlers with seat belts. Adults can simply step forward when getting in or out of the rear seat, without having to twist over a wheel-arch. 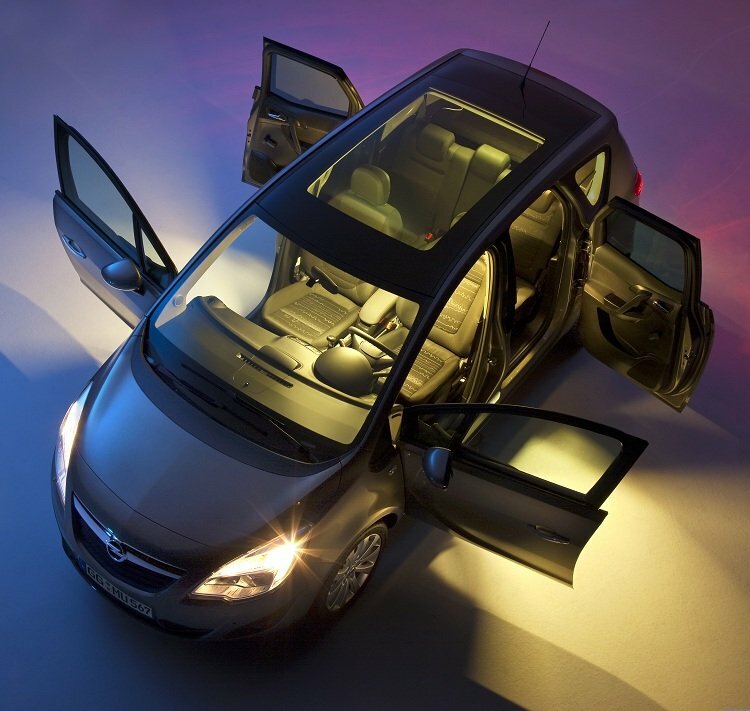 The Meriva’s FlexDoors open up to almost 90 degrees, much wider than conventional doors, to assist in storing cargo. Overall, the new Meriva delivers more expressive design and greater flexibility, reinforcing its leadership of Europe’s small monocab segment. The marriage of form and function has never looked this good.